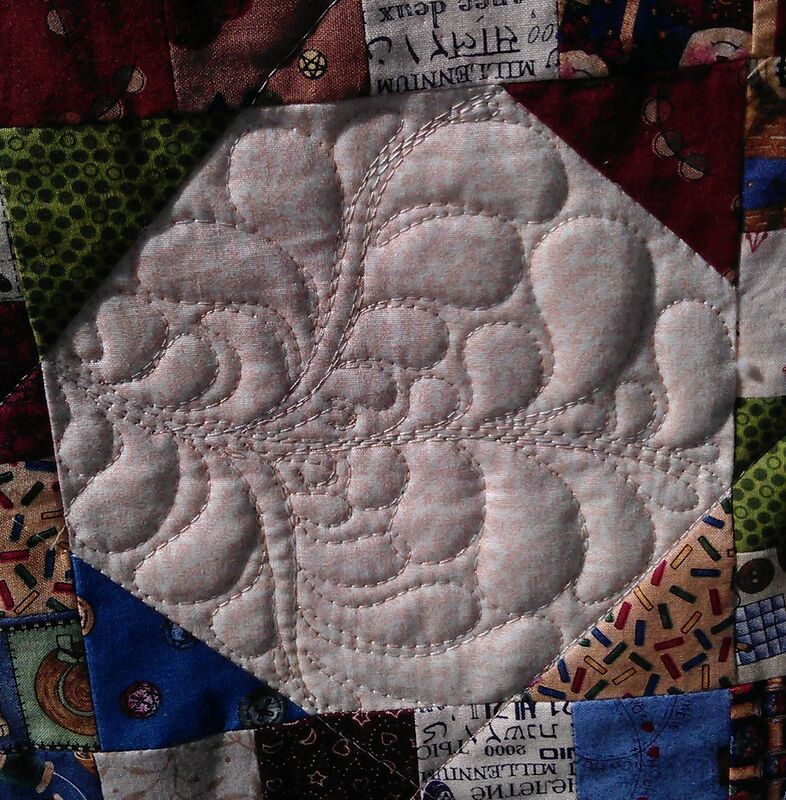 This pretty little quilt had some big snowball blocks of plain beige. 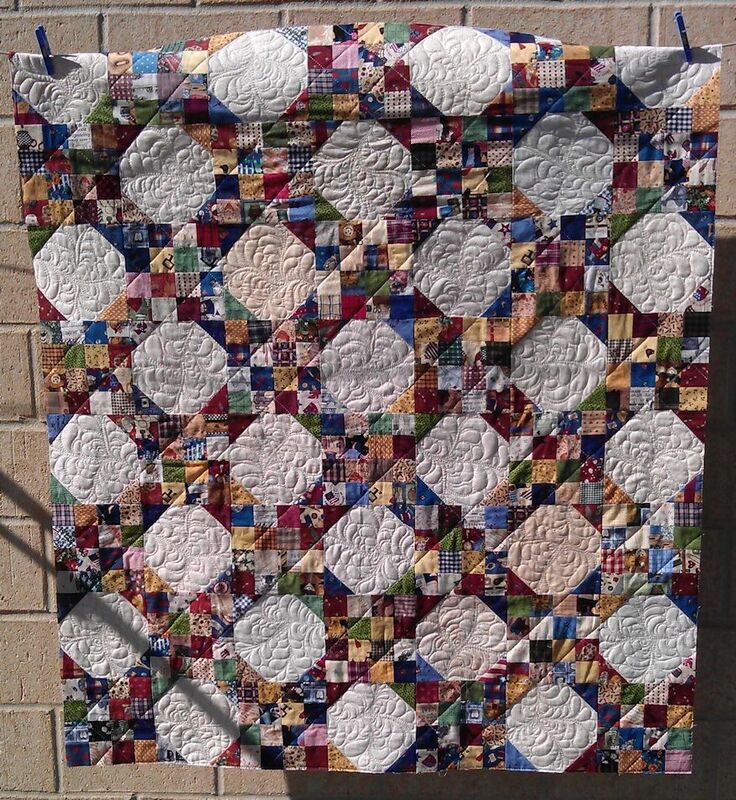 How to quilt it to show off the snowball blocks but without detracting from the design created by the small squares and setting triangles? First, I stabilised it by stitching long straight lines along the edges of the snowballs and continuing them to the next one. 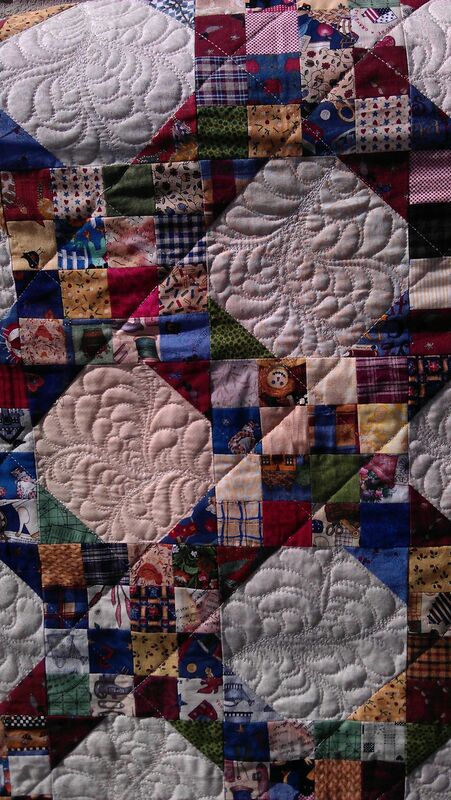 And I decided that that was all the busy little squares needed. Now, how to quilt the beige snowballs? I decided on feathers, but stitching feathers in an octagonal shape isn’t easy, so I had to devise a way to do so that showed the feathers off and that didn’t create massively large and odd-shaped feathers. I’ve written a tutorial (with pictures) on how I feathered these octagonal shapes — it’s really quite easy once you get the basic structure of the spines done. I used a variegated beige, yellow, soft green, light tan thread for all the stitching.